If you live in Rochester Hills or the surrounding area in MI, then you have picked the perfect site to find a veterinarian. 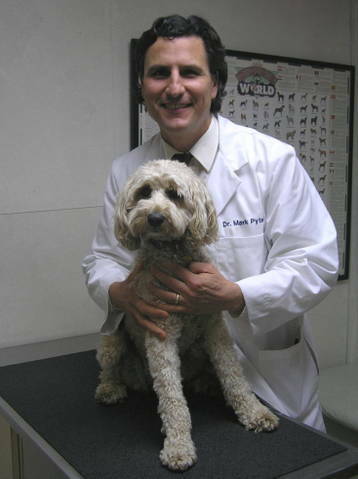 Dr. Mark Pytel is a licensed veterinarian, treating dogs and cats of all breeds. Your pet's health and well being is very important to us and we will take every step to give your pet the best possible care. Meadowbrook Animal Clinic is a full service animal hospital and will take both emergency cases as well as less urgent medical, surgical, and dental issues. Mark Pytel is experienced in all types of conditions and treatments. Beyond first rate pet care, we make our clinic comfortable, kid-friendly, and a very calm environment so your pet can relax in the waiting room and look forward to meeting his or her own Rochester Hills veterinarian. We have a number of resources for you to learn about how to take better care of your pets. Browse around and look at our articles and pet videos. The best veterinary care for animals is ongoing nutrition and problem prevention. If you want to ask a question call 248-375-1440 or email us and we'll promptly get back to you. Our Rochester Hills veterinarian office is very easy to get to, and you can find directions on our Contact Us page. You can also subscribe to our newsletter which is created especially for Rochester Hills pet owners. In between your veterinary visits, your pet will benefit from you reading these free informative articles. At Meadowbrook Animal Clinic, we treat your pets like the valued family members they are. Dr. Mark Pytel has practiced medicine and surgery at Meadowbrook Animal Clinic since 2009 and has owned and operated the facility since October 2011. Born and raised in Detroit, Dr. Pytel is also a proud “Pilot” having graduated from De La Salle Collegiate High School in his home town. He earned his Bachelor of Science degree and his Doctor of Veterinary Medicine at Michigan State University in 1986, alongside his brother Dr. Thomas Pytel, who owns Pytel Veterinary Clinic in Goodrich, Michigan. "We are fairly new to Michigan. We've been asking around about a local vet and we have heard only good things about Meadowbrook Animal Clinic. One of our pups got sick and I called asking if they'd see him, even though we've never been. They got him an appointment in less than an hour. Dr. Pytel was very kind and informative. He took the time to explain everything to me." "My fur baby loves it here (and I love that they take such great care of her)!"